Spring is here, marking the beginning of gardening-friendly Pacific Northwest weather. In our April newsletter, we highlighted three of our favorite garden products to kick start your garden as we head into the growing season. Here, we’ll dive a little deeper to tell you exactly why these are three of our go-to garden products. We use Oly Mountain Fish Compost everywhere in the landscape: to amend existing soil before planting, as a thick layer of mulch for insulation and to retain moisture, and on top of the lawn as a topdressing before overseeding. There’s good reason for it too. Healthy soil is the key to a healthy, resilient garden. Oly Mountain Fish Compost is an odorless organic compost and soil additive that’s high in organic matter and beneficial nutrients such as nitrogen, phosphorus, potassium, calcium and magnesium. 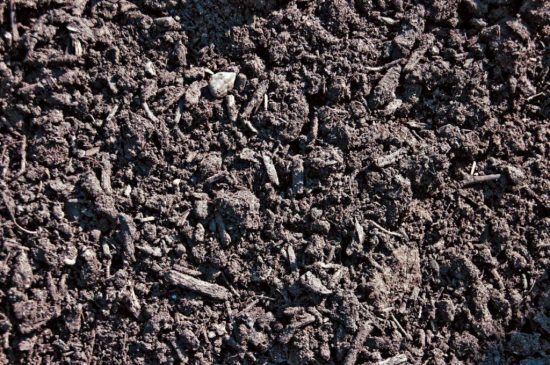 It also improves soil structure by making the soil more porous, facilitating better drainage and allowing plant roots to receive necessary oxygen. Lawn roots and plant roots, in turn, are able to grow deeper and stronger resulting in a hardier landscape. 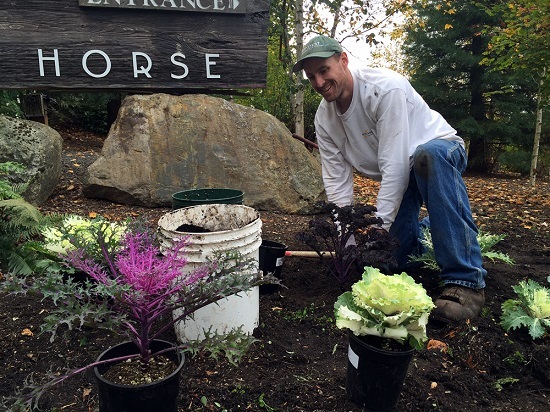 Josh captured here planting annuals at White Horse Golf Community HOA. We don’t put plants into the ground without first soaking their root balls in a mixture of water and SUPERthrive. If we don’t have it on hand, then we don’t plant. That’s how significant this product is to us. SUPERthrive is simply a vitamin and hormone supplement that assists in the development of healthy root systems. Incorporating it into your planting routine (and then watering your newly planted plants regularly with it) can result in faster, more robust growth. That said, the application for which we find it the most beneficial is to mitigate shock. Plants experience stress, or shock, when jostled out of their pot or home in the garden bed. This can lead to limited flowering, change in leaf color and even increase their chances of disease. Help your plants adjust to their new home with this supplement. SUPERthrive can help prevent and treat those symptoms to ensure survival. It’s non-toxic so it can also be used in edible gardens. 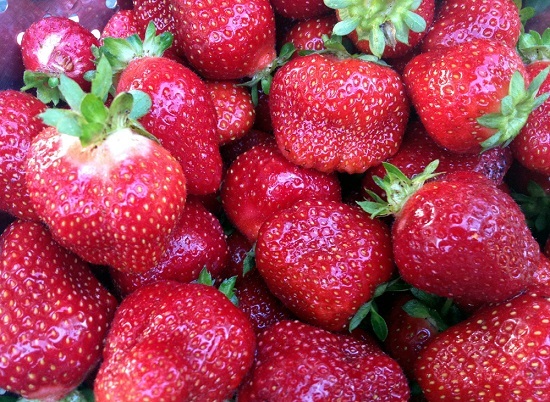 We grew these strawberries ourselves with a little help from Dr Earth Life fertilizer. This all purpose fertilizer could be called “plant food for dummies” because it’s so easy to use. Broadcast the pellets on top of the soil and water it in. You don’t have to work it into the soil, making it a great go-to product for gardeners who don’t have a lot of time. It’s certified organic and provides balanced nutrition suited to a variety of plants including veggies, potted plants, trees, shrubs and annuals. The quick-release homogenous pellets contain plant nutrients that continue to feed for several months after application. Dr. Earth Life promotes disease resistance, builds soil health and is free of harmful chemicals. We’ve tried many different products over the years, yet these remain to be three of our tried and true, go-to garden products. These products are good for earth, easy to use and will help your landscape to be resilient in times of extreme weather conditions such as drought. Pick them up and try them out for yourself! Log into Facebook and let us know what your favorite garden product is in the comments section below.